Let’s start off by not going into materials and specifications. This is a taste review of combo grills that produce the best-flavored meals. 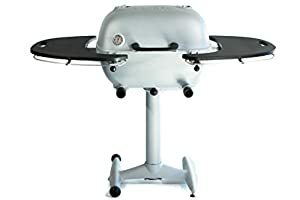 The grill is as good as the chef or cook using it, so whether you have a ceramic, super metal, nuclear fission powered black-hole graviton combo grill used by Thanos, or a hole in the ground with a sheet iron cover, your end result won’t make a difference if you can’t cook. This review will concentrate on the end result, is this grill combo good and how did we get there? 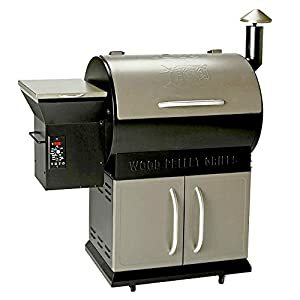 I will review each grill from a functional point of view, briefly discuss specs, and just go into the good, the bad and the downright ugly, which doesn’t exist here since I filtered out all the bad stuff and left you with only the best grillers to choose from. Bottom line: If you cannot cook, first learn to cook then buy a grill. If you can cook, check out these options, they are all good, but some are better suited for big meals, and others for quick snacks. Have fun, and don’t forget to invite me to taste. I have to start by stating that grillers are not the same even if they look the same. There is a difference in the quality of the material and the fabrication process as well as the reliability of performance. This is why these 20 models are in this review. I shall start with the Char-Broil American Gourmet; this is so budget friendly, you might think it’s a fake. Well, it isn’t a fake, but it isn’t for the amateur cook either. You have to know what you’re doing when using this grill. Let’s take a look at the pros and cons of giving a bottom line verdict. Its cheap price, under a hundred bucks, makes this one of the cheapest combo grill smokers around. This is a combo BBQ, offset smoker and a charcoal grill that comes in one unit. This is an easy to clean grill and comes with an easy to remove ash-tray and built-in damper. It might seem simple to use for novices, but it is, in fact, a pro combo unit, so if you want to start to learn how to use a combo unit, and want to dive right in, this is the one you need. It comes with some great side shelving and storage, so you don’t need to keep running back to the kitchen or the car for the accessories. Wood needs to be chopped up into small pieces, o wood is extra work. This is a small grill surface, so if you intend to cook for many, well, that’s an issue. 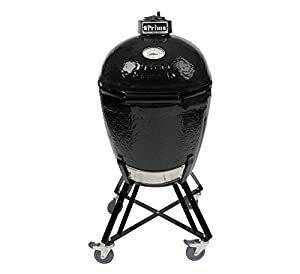 This has a separate smoker, not a combined grill, and smoker. For some, that’s an issue, for others a boon. If you like easy to understand grillers that come with a lot of features, then this is the one to get. The Char-Broil American Gourmet combo provides you with a very easy to use unit, but you need to know how to use it as a chef to get the best results. Having a great easy to understand cooker doesn’t mean you can cook up 3-star Michelin meals or a great pepper steak. So, in the case of the Char-Broil American Gourmet, you cannot blame the tools. This unit comes with a one-year warranty which is great. Since I know some people that use their griller every damned day of the year. 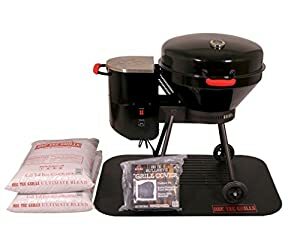 As I started out, this is one of the cheapest combo grills around. It’s under a hundred bucks and its good stable quality. All spare parts are readily available all across the US, and usually, this unit doesn’t need any replacement in the first year, even if you do use it daily. Just make sure you clean it after every use. Just like your teeth, if you clean it every day you won’t get corrosion. This unit can be a little aggressive for novices, even though it is easy to use the device. 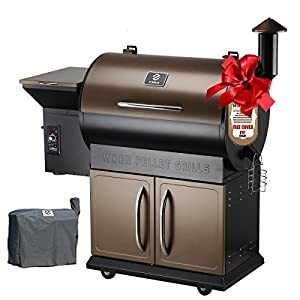 The price is incredible and if you don’t mind jumping in on the deep end of grilling and smoking capabilities then this is the one for you. 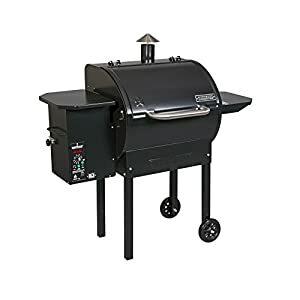 For professionals, this is a great second griller to have around, just because of its amazing price. 290”2 cooking surfaces and dash. Dimensions: 48.03” W x 17.5”D x 44.6”H. All-black steel construction with cool-touch handles. OK, let’s talk about the Masterbuilt M7P, another less expensive model that provides great smoked meats at an affordable price. 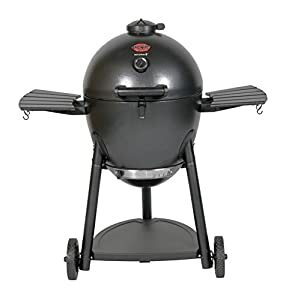 In fact, it’s another under a hundred bucks smoker grill, only this one comes in one piece, where the smoker and the grill are together, but that’s not all. This one is a combo propane and charcoal burner, which is a great asset to any serious griller. This is a versatile propane and charcoal grille, as I stated above. Propane gives you a lower temperature but consistent burn, while charcoal will provide greater heat and better smoke. So between the two, you can cover different meats and goals. The price is a major factor here, and this one is really budget friendly. 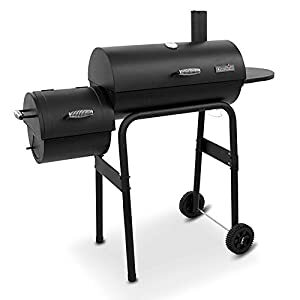 This is a great entry-level griller and smoker and if you haven’t smoked meats before, this is the one you want to learn with. 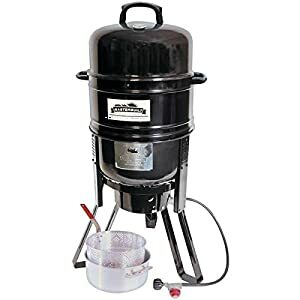 You get the best of both worlds; whether you are a propane newbie or a charcoal smoking newbie, you will be able to prepare anything easily in this unit. The charcoal burner for grilling is great, and you get all the classical flavors when using charcoal as your heat source. This unit comes with a water pan and wood chip tray, which is a must in any modern combo unit. These two units give you both winter and summer options for heating and steaming, as well as a great smoke base source. This is a light unit, so its easier to lug around your yard or even take it out in your vehicle to a game or a campsite. The Masterbuilt is easy to assemble, and you don’t need to be a DIY expert to get this model fully operational in minutes. As I mentioned, its light, well, that’s because the steel casing is thin, which means that this unit, while being so cheap, will only last for about three to five years, dependent on how you clean it and keep it maintained. Temperature gauges are inaccurate in most units, as well as this one. The smoker should have a thermometer just like a grill, but for some reason, manufacturers forgo this and attach a temp gauge. Go figure. Due to the thin material, when using propane on a windy day, the smoker will not be as effective as it could be. So, take into account that windy days are not good to smoke days. The charcoal pit is a bit small, and adding charcoal and chips is sometimes a bit of a pain. The Charcoal space is not large enough. Adding fresh charcoal and wood chips is a pain. This is a low-priced efficient starter kit. Really good value for money if you want to take the time to learn how to smoke properly. This is an amazing hi-tech grill and smoker that comes with a price tag to match. If it’s quality that you seek, then the Char-Broil Big Easy is the one to get. This unit is designed for experienced cooks and chefs, so if you are seeking your next model to replace an older one or seeking something that will deliver great results every time, this is the model to get. The Char-Broil Big Easy is basically a modern tech smoker griller that does not use any conventional cooking fuel. There is no messy charcoal; only a middle sheath propane burner and an innovative infra-red heat source that delivers the right temperature at an even frequency over specified time setting. The unit is made of solid and durable ceramic lined stainless steel smoker box and stainless-steel grate, so you can clean these very quickly and efficiently after use. The size of the grate is 180”2, so it can handle a full 25Lbs turkey if needed. A wood chip or pellet tray gives you the base for smoking. The propane burner heats up the gap between the inner layer and an outer layer of the model and heat escapes from the top (as it always does). The infra-red technology spreads the 9,000 or 18,000 BTUs evenly, and you will never get dried-out meat with this model. This unit does not use convector style heating. Instead, the infra-red grilling unit uses the heat generated by the propane briner to spread evenly, acting like a slow cooker but vamped up to bring truly juicy meats. Bottom line: It’s a bit pricey for what you really get, but it is different and does provide juicy results every time. My only concern is that you have to learn a whole new set of cooking rules since it is not a conventional combo unit. It’s time to hog down with a pit barrel cooker. 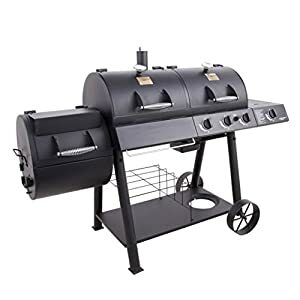 Yup, go all redneck on ya and “git-r-done.” This magnificent beast is a no-nonsense 18.5” barrel of steel that you fill with whatever you want and turn on the charcoal burners and step back. It’s a classic slow burner with smoker combo, and If you have the patience to leave the hood down, you will get the best-damned ribs this side of Saturn. This model really speaks for itself, and it is a praised unit, where many famous grillers and smokers have attested to its brilliance. Simple is best, and you don’t get simpler than this. The barrel comes with 8 stainless steel hooks and 2 hanging rods, a charcoal basket and grill grate and a 3-point barrel stand. Unpack her, assemble her and heat her up, all in 20 minutes. Fill her with whatever you have, and just sit back for a great result. The only downside, which is really not an issue when getting such perfectly simple quality is the price. If you are willing to pay for the best, then buy this barrel now and be the envy of everyone that goes camping with you, or just comes around your place for some tasty protein. Now we talkin’ serious stuff here. Yup, rightly so too. 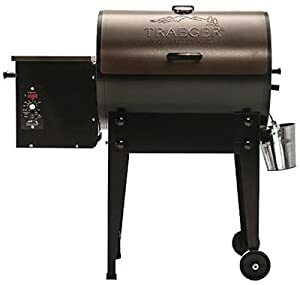 This is the ultimate pellet grill on the market, every time you ask an expert, or someone that grills for thousands and they keep coming back for more, will always mention a Traeger pellet grill. This one has a cooking space of 292.2” which is plenty of space for most families and parties. Let’s be serious, folks; this grill delivers a major kick to your pocket, budget wise. This is the Ferrari of pellet grills. Only serious and professional chefs will use such a grill, they won’t want anything less. Easy to Use, it’s as simple as that. There is no special frills or instructions, fill-r-up with pellets and cover her with meats and you will get perfect results even if you never cooked before in your life. The smoking function of this grill is unbeatable, but if you use under-par pellets don’t come back to papa crying. Use only the best products to get the best results. It’s not cheap, and it’s not built cheaply. You pay for what you get, and you get a reliable, sturdy, and long-lasting grill that if maintained properly will last for decades. Smoking can be affected when using sub-par pellets as I mentioned above. So, make sure you use only the best or at least good materials. The grill smoker will only deliver what you put into it. The price, as mentioned above as a pro for a long lasting and professional model, is also a con for you budget conscious buyers seeking such a model. What can I say, go Uber for a month and then buy it from the income? 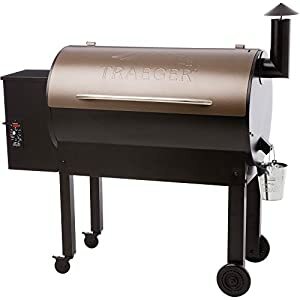 Traeger is one of the leading brand names in the market today. I will mention them a few times in this guide. If you are serious and want to take home a great professional combo model and are willing to pay for a model that will last for over a decade and maybe two, which ultimately saves you in buying cheaper units once every three years. Buy this one now. What can I say, the Oklahoma Joe is an amazing combo unit that will give you exactly what you want at a middle range price. This is a professional unit for experienced users but is also a versatile unit for beginners that are willing to match the price. This unit comes with a cleanout door and damper unit, which makes maintenance a breeze. The grill hood handles to protect you from the heat, which is always a major issue in most lesser models. You can stoke the fire without opening the lid, so you retain the cooking heat while managing the heat source. The grates are ceramic coated, so cleaning them is easy, just make sure you clean them after every grilling (finished of course), and don’t let burnt grease accumulate. You have two cooking chambers for added versatility, and the unit is movable, so you can place it anywhere you want in your backyard or patio. The grate is made of porcelain-coated cast iron, and the lids are steel with a built-in temperature gauge. The cooking area is 750”3. The only con I could find was the price, being middle of the road, you don’t know if this is a high range unit or not. Well, I shall put your misery to rest, this is a great value for money unit, and that’s why its here. So, this not a con if you can afford it. A large spaced, versatile solid fuel grill smoker combo that will perform admirably and give you great value for money. Camp Chef is another leading brand that comes with a hefty price tag. Although this model is middle range priced which makes it a steal for the quality you get. This model might seem more expensive when compared to other models such as Masterbuilt (reviewed above), but in fact, this is an exceptional model that gives real value for money. 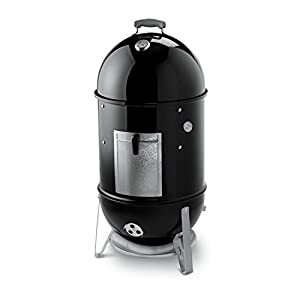 This is professional smoker and griller that is both easy to use, stable, reliable and provides some hi-tech controls that make life so much easier for even the most experienced cooks and chefs. This unit has digital controls that oversee a mechanical operation, which is the best of both worlds. There is an automated pellet feeder which maintains the heat and also allows you to sit back as it controls the smoke levels too. It is a versatile cooker; it can grill, smoke, bake, roast, braise, and BBQ. Unlimited temperature selection and you get a meat probe thermometer. Its time to discuss the Pit Boss and its name is aptly made. The Pit Boss is an affordable and actually stylish combo model. What impressed me the most was how solid it is. Its durable and provides great value for money even though it is an expensive unit. You pay for the design, you pay for the quality, and you pay for the durability and reliability. This is a ceramic grill with a lot of cooking space with tiered stainless-steel cooking grates set in a 567”2 space. The walls are a thick ceramic, and the damper is cast iron, so you maintain high thermal integrity, as such, you can have a large variety of cooking styles in one unit, from backing a pizza to smoking meat and searing a steak. Another great feature is the large thermometer face, making it easy to read from a distance, which is where you will be, not hovering over an open steaming hot old-style baby. One thing to take note, this grill unit is heavy, as I mentioned, you pay for quality, so when putting it together, get some help. If it’s a lightweight, modern take on a grill, then this aluminum grill will surprise you even at the cost they ask. Yes, this is a pricey one, but well worth it. The use of aluminum is genius, to start off with, it doesn’t corrode like iron or steel. It’s much lighter too and aluminum is more thermally insulating than iron. Let’s take a look at this interesting grill closer. It comes with four vent adjusters, two rotating bars that increase the air flow at the base of the unit, and two at the top, letting you adjust the air flow from above as well as below. The charcoal heating is contained in aluminum better than in iron since aluminum doesn’t heat up in one place, aluminum heats up in one unit, so the overall consistency of heat is greater than with iron or ceramics. Since aluminum is unique in heat transfer, you don’t get cracking issues when cooling it down, nor do you have an issue with removing the top completely for the fast cooling process. The lid and body are made of heavy cast aluminum, this is a great nonstick surface, so it makes it easy to clean. Due to the aluminum heating configuration, be wary of the outer surface, if the interior is 500, then the outer surface is 500 too. That is the only downside of this metal. This model comes with two heat-resistant worktops, so you do have touchable surfaces, and it’s easy to clean. This griller will not rust out on you, even after 10 years, 20 years and more. Aluminum doesn’t rust. The only downside is the price and its heft. Calculate how many rusted units you would replace over the course of 10 years and then you might consider this as a long-term investment. Its Traeger time again. This time it’s their large pellet grill, designed for consumers who are prepared to pay for quality. This is not for the budget conscious buyer, this is a serious combo unit and is designed for both home users as well as professional use in a restaurant. This is ahardwood pellet heated unit, it comes with a digital controller and is suitable for a first-time user who wants to start out with the best as well as a professional with years of experience. It has 646.2” of cooking space and is light and mobile, so you can wheel it all over the place to suit your needs. The digital controller allows you more freedom of movement, and as all experienced users know, you don’t need to lift the lid to check the meat, let it roast slowly, go enjoy the time while it cooks. This unit comes with an auto-start ignition, easy to clean grill grates and a Digital Elite LED display Controller. The unit cooks up to 36,000 BTUs and has an 18 lb pellet hopper. Bottom Line: It looks good, it cook’s good, but it will cost you for the experience. Z Grills has come up with a nifty compact grill smoking unit that looks good and comes at a mid-price range, so it is actually good value for money. This unit provides you with all the features you expect from a mid-range unit, with 7 different cooking options and a very large cooking area of 700.2”. You get one of the best cooking area ratios to price on the market. Add to this is the fact that it is compact, and that you have ample storage space for handy access to ingredients and tools. The Z Grills delivers. 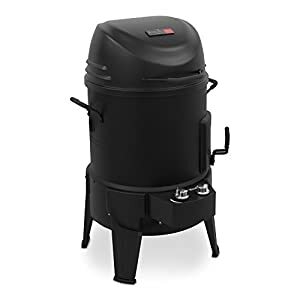 This model comes with an automated pellet feeder, and it has a great heat release mechanism, so you get all the fun of smoking without the hassle of steam and smoke filling your patio. Among the feature it provides are a second removable cooking rack, electric auto ignition, a shutdown recycles mode and an accurate internal temperature sensor. Bottom Line: designed by youngsters for anyone and everyone to enjoy, Z grills is a good buy. When you hear the word Kamado, you automatically think of “mortgage,” because until recently Kamado style grills were expensive. Well now you get a really budget-friendly Kamado combo unit, and it delivers on every aspect. It is not as solid as a standard Kamado though, the materials used and the construction is not as solid as a standard Kamado griller. So, the question we asked is, does it deliver the same product? After all, we don’t need to live in a nuclear bunker if we live in Sweden, and we don’t need a formula 1 car when driving in Mumbai. This Kamado follows the same lines as the ancient Japanese model. However, this one uses an insulated metal shell rather than a ceramic. The new metal body version is easier, lighter and less fragile than the ceramic version, which is why it is so much cheaper to buy. What we found out is that this model is even more efficient than the ceramic one, and yes, you do replace long life for the price, but it delivers the same end product and instead of sitting on your patio for the next 50 years it will be there for 10. Another advantage that this model has over the original models is that it can reach temperatures as high as 700oF and maintain them steadily. The metal body allows for a better distribution of heat and a faster cooling down period. This model has 302.2” of cooking space and a tripod style stand, with the standard lid temperature gauge. You can get it in brown too, that’s model no. 26720. This is a great budget-friendly unit for anyone seeking to explore the advantages of a Kamado griller and smoking unit. This model is fuel efficient, lightweight and has an easily removable lower section for cleaning. The only cons I had were the cast iron surfaces that need care for long-term maintenance, and that the paint does burn off at high temperatures. Having said this, I don’t care for the paint, if I can get a Kamado grill at an efficient budget price, then to hell with paint. 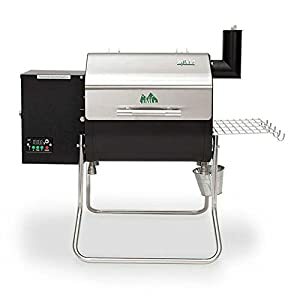 Green Mountain has taken the bulky pellet loader and compacted it so that now, they have produced a “micro” compact pellet grill smoker with a 1.”2 x 18” cooking surface onto a 60 lb unit. The other great advancement that they added is that you can power it from your car lighter outlet. Making this the world’s first official vehicle operated griller/smoker combo. This smoker is best used with their proprietary pellets, but you can use any pellets for a good smoke, and this little mobile unit can heat up to 200° and 550°F. Now, why is it a really a mobile unit, well because it has WIFI capabilities? Wait, WIFI? WTF? No, not WTF, WIFI. The WIFI unit allows you to control the griller from your smartphone (IoT comes to Grillers) and you can be busy with other stuff, such as hunting bear, watching a Bears game, or bearing your teeth as you prepare a campsite. Your smartphone or tablet app will allow you to control the grill/smoke process and you don’t need to be near it to enjoy the final product, a perfectly cooked meal. Now that we have finished praising the wonders of science let’s look at the wonders of grilling. The Davy Crocket is a lightweight unit that is made of 14-gauge steel body and covered with a 13-gauge steel lid. It comes with an easy to assemble package, easy to haul around in the back of a car or truck. The 7” peaked lid, combined with its fan gives it a convection air flow. While it is small you can cook up to 12 Lbs of meat, so you can easily make a few rounds with this baby for a whole class reunion. It’s time to talk about a Camp Chef that is both priced for professional use and provides professional features that can be used by a newbie without any culinary skills whatsoever. 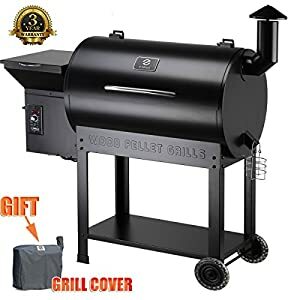 Yes, this magical smoker griller will turn any lump of flesh into a wonderous juicy meal fit for a camp of hungry predators. 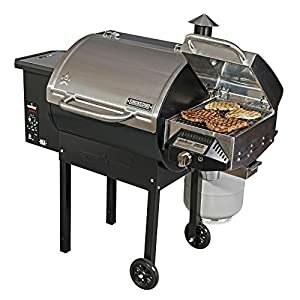 Now let’s start by saying that this is one of my preferred grills, and at the price I paid for it, it had better deliver the goods. Did you know that an experienced grill chef will own a few models? Well, they do and so do I.
I am not the kind of guy that likes to fiddle about with controls and vents; I like to place my meat on the rack, set the grill and come back when its ready to be turned or is finished, such as with a slow cooker. In the case of quick grills, the same applies, you don’t want to have to stand over the hot griddle, that’s for amateurs. So, what’s special about the Camp Chef? Well, let’s start with its trap door for pellets, you don’t need to handle the dirty pellets, all you do is open the trap door and presto, your pellet issue is solved. The second feature is the internal meat probe thermometer and external temperate gauge. Combined together, you get the best results since you know the internal temperature the cooking area and the internal temperature of the meat. This model has a propane fueled sear box, so you can quickly sear up a steak or burger or whatever you want on its 180.” surfaces. If you want to smoke meat, just set the dial to heavy smoke and sit back. So basically, you do get everything in this model. Now let’s look at the cons, it has to be connected to a power source at all times. It comes at a hefty price, and it cannot (or should not) be used in the rain or in humid climates since the metal will rust. Of all the grills I have, this is one of my favorites, and yes, you do need to get to know the grill first, since it is not a simple fire up and start her. On the other hand, it does miss that WIFI (IoT) connectivity that would make this baby the best. If you are a newbie or an experienced cook, this is one unit you have to have at home. When it comes to unique and head-turning devices, this is the one to get. The Weber 721001 Smokey Mountain Cooker is a outstanding cooking unit that also delivers on every point. This oversized capsule is solid, with a shiny black finish that sticks out like an Eskimo in the Sahara. Let’s start off by stating that this is a slow cooker; it’s a barbeque designed for 225°-300°F preps. The main features of this unit include an access door to the charcoal grate, two grill grates and it’s a porcelain coated steel body with water and drip pans. The cooking space is an ample 481,2” , and the diameter of the surface is 18”. This unit is designed to provide a lot of steam and is also easy to clean after use. The dome-shaped design lets the water moisture roll back down onto the pans and re-steams again. This domed shape really adds to the smoking process and infuses all your meals with a strong smoky and moist flavor. Why did I include this unit in this review/ First of all it delivers a punch of flavor every time, second is its price, which is budget friendly and third is its unique design. The aerodynamics of the design provides maximum efficiency for smoking and steaming, producing high unfused flavors every time. It’s a sealed unit, so you can shut it down to conserve fuel, and it will retain the heat for continuous slow cooking. There are vents to account for wind factors if required. The porcelain coating makes this model easy to clean and longer to last in the natural elements. This is the YOYO Deluxe model, which means it comes with more features and additions that make cooking a more enjoyable experience. This unit comes with an amazing 684.2” of cooking space and has two levels so you can either cook or warm the meats. 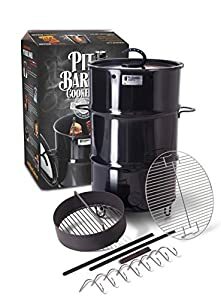 This model comes with extra storage space, a 20 Lb hopper so you can leave your meats to cook for a long time without having to fiddle around with fuel sources. The grate is porcelain coated, so the food won’t stick, and it’s much easier to clean. Another great thing about porcelain coated surfaces is that they prevent rust. This is a classic model, using digital controls and an easy-to-use cooking method that is suitable for newbies as well as experienced cooks who just want a quiet life without too much hassle. If it’s a cost vs. cooking capacity ratio you are seeking, it doesn’t get much leaner than the Z Grills Master 700D. What I do to compare the size versus cost ratio is divide the price per square inch and get a price per square inch. I then compare the features and finally test quality. The bottom line is I end up with a great determination model used by professional supply chain managers to evaluate product value. This model gives you the ability to Grill, smoke, bake, roast, sear, braise, barbeque, and char-grill. It also comes with a digital temp, a control unit which automatically adds pellets when the system detects fluctuations in the heat. The body is stainless steel, so it is more weather resistant, but you still need to clean up after every meal and oil the hinges and wheels. Bottom Line: If its as close to perfection that you want, then this is the model for you. It’s a standard design made to be as efficient as possible. It’s time to leave budgets behind and present a Kamado grill. Yes, Kamado grills are not for the economically concerned public. But if you want perfection you have to pay for it, and it doesn’t get much better than a Kamado grill. In fact, did you know that every serious chef owns a Kamado? Well, they do, and most restaurants that serve grilled and smoked meals will have one too. This is the Primo Round Kamado, and its hefty price is backed by its amazing abilities to deliver. The cradle is made of high-grade stainless steel, for added durability and rust proof protection. The ceramics are all US made, and the design even has FDA approval. The grates are designed to be used on both sides; one side will give you a closer burn to the heat source. This baby also comes with an adjustable damper, so you have total control over your cooking. 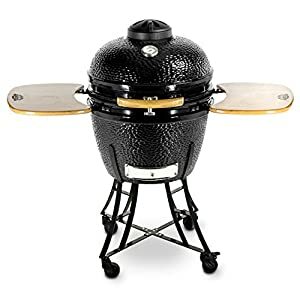 Bottom Line: Buy this if you are a serious cook, if you want a great Kamado and if you truly love to grill, smoke and do anything and everything to meat to make it delicious. At first glance, it might not look like much, but this is one of the greatest inventions known to man. Naturally, women will contest this statement. This is a porcelain enameled griller that is super easy to maintain, clean and operate. Since its interior is enameled, the heat is preserved during the cooking process, and the outer metal surface won’t crack or chip since it’s coated metal. This model comes with two cooking modes, wood or gas. Yup, this is a gas cooker, which is really something for the price you pay. You can just flip the switch, and you go from wood to gas and back again. What is unique is that this is a temperature-controlled wood burner, and I doubt you will find many of these around. You can set the temperature to anywhere between 200oF to 250oF, and sit back to allow your meats to slowly cook for up to 15 hours. Not that I would recommend that, usually 6-9 hours are enough. I guess the only con is that it’s not big enough for large parties, but it’s excellent for camping and sport meets.